What If Jesus Returned on Christmas? – I Am Not Ashamed Of The Gospel Of Christ! Home › views › Commentary by CJ › What If Jesus Returned on Christmas? What If Jesus Returned on Christmas? I’ve often wondered what would happen if Jesus returned to His Kingdom on the day the world celebrates His birth. 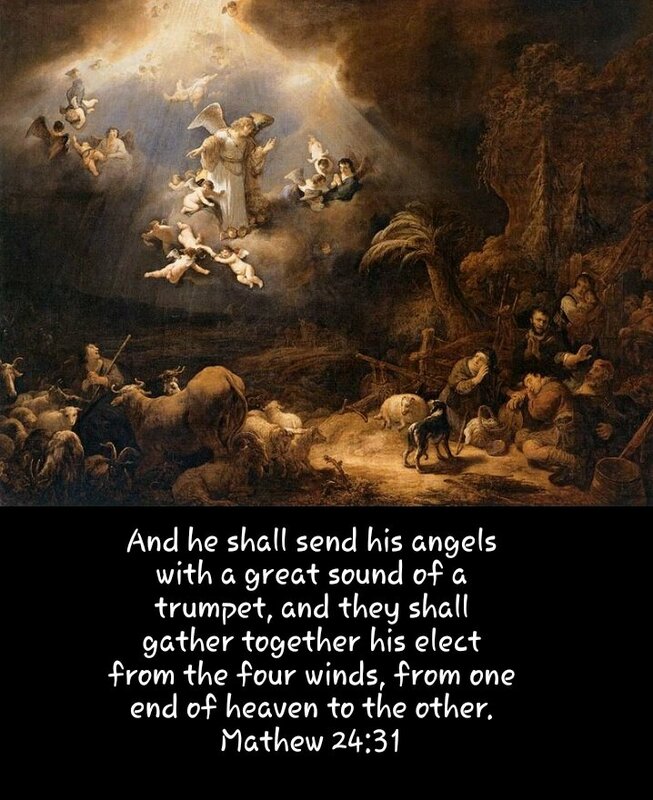 I would have given anything to have heard the Angels announcing the birth of Israel’s King, our Lord and Savior. But I think we will be the ones to witness the Angels announcing His return. If He were to return on Christmas, would He find faith? Would He find worship, or would he find a commercialized pagan festivity complete with gluttony and drunkness. Before you roll your eyes ponder this for a moment. Think about that this year. And also think about, and pray for our Brethren killed for their faith and love of Christ. May we all remember Immanuel and that He is with us! May we all long for His return, instead of celebrating in ways that is not in the Bible. I am not condemning anyone as I still wish Merry Christmas hoping to instill Love and Peace in unbelieving ears. But don’t forget what is important. Its not gifts or money or Christmas tree’s. It’s about HIM!! There’s a reason He told the rich man asking what he nust do to follow Christ, to give everything he owned and take up the cross. The rich man is much like people today. Celebrate His birth just remember He could return at any moment. Are you ready?? 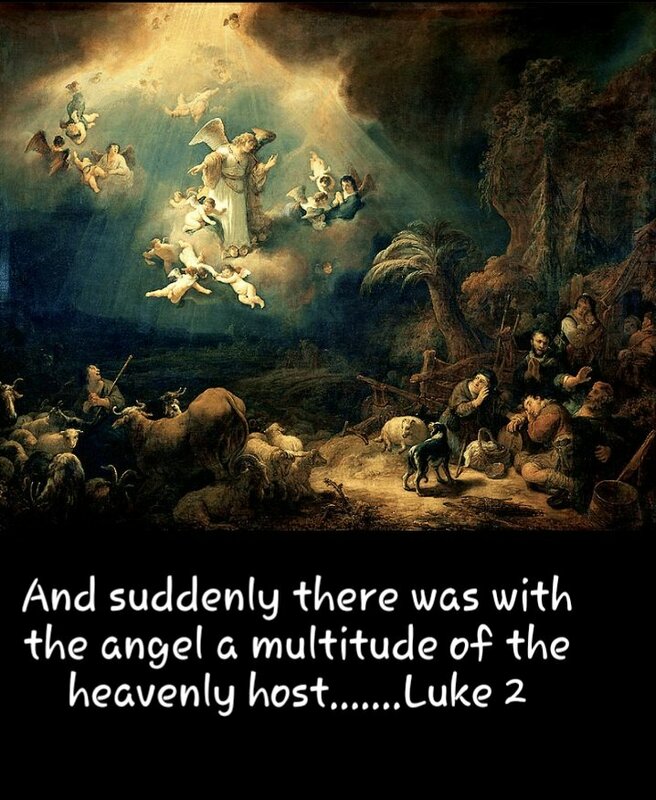 His birth was announced by His angels and so shall His return!! I think about the Virgin Birth alot especially this time of year. I thank God for the faith of Mary. I pray to have just 1/4 of her faith. I’ll end with this. As it says it all. IF A PERSON DOES AN IN DEPTH STUDY AND RESEARCH OF HOW CHRISTMAS ORIGINATED, THEY SHALL DISCOVER THAT CHRISTMAS HAS pagan roots. CONSTANTINE WAS EXTREMELY INSTRUMENTAL IN TAKING PEOPLE AWAY FROM THE TRUE GOSPEL. THE MOST EARLIEST OF CHRISTIANS, DID NOT OBSERVE CHRISTMAS, THEY CONTINUED TO OBSERVE THE JEWISH HOLIDAYS, AS CHRIST TOLD US, AS HE HELD THE LAST SUPER, TO DO THIS INTO REMEMBER HIM. WE ACTUALLY SHOULD BE OBSERVING HANUKKAH, SINCE CHRIST WAS A JEW AS WELL. EASTER ALSO HAS pagan roots. WE AS CHRISTIANS SHOULD BE OBSERVING PASSOVER, UNTIL HE RETURNS. WHEN THE PURITANS CAME TO THIS COUNTRY CHRISTMAS WAS ILLEGAL. IT WAS ONLY AFTER THE CIVIL WAR, WHEN THE TROOPS NEEDED A FESTIVE OCCASION, AFTER THE WAR THAT ALABAMA WAS THE FIRST STATE TO MAKE CHRISTMAS LEGAL. NONE OF US KNOW THE ACTUAL BIRTH OF CHRIST, SOME SAY IT WAS IN THE SUMMER MONTHS, SOME SAY IT WAS DURING THE TIME OF THE HIGH JEWISH HOLIDAYS, BUT NONE OF US REALLY KNOW. YESHUA HO MESSIAH (JESUS CHRIST) DID NOTIFY US, AND SAY THAT HE WOULD NOT RETURN, UNTIL ALL OF THE PROPHECIES WOULD BE FULFILLED, OTHER THAN THAT NONE OF US KNOW THE DAY NOR THE HOUR, AND HE DID SAY, HE WOULD COME LIKE A THIEF IN THE NIGHT. NO CHRISTMAS HAS NOTHING TO DO WITH THE BIRTH OF CHRIST, IT IS VERY MUCH MAN MADE. Julia has a post coming out tommorrow that is in depth. Thanks for commenting. Yep. Research Saturnalia. Christ was never in Christmas and He never told us to celebrate His birthday. You can make an argument that he was born during the feast of Tabernacle’s in which usually happens in September. This was originally published in 2013.